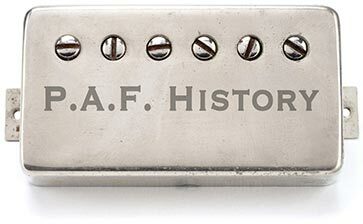 The vintage Gibson PAF humbucker electric guitar pickup has achieved mythical status as the humbucking guitar pickup choice of guitar legends for decades. Original PAF pickups are sought out for their tone, response, clarity and dynamics, vintage Gibson PAF pickups are now worth their weight in Gold on the vintage market. As owner of ﻿ThroBak Electronics﻿ I have had the privilege of restoring, repairing and reproducing every detail of the classic PAF humbucking guitar pickup. 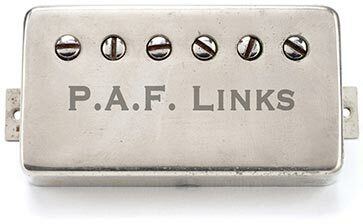 This website offers insight into PAF pickup history, construction, winding machines and processes that are responsible for the magical tone of the original P.A.F. 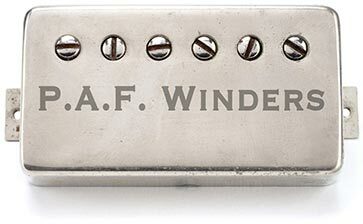 humbucker design created by Seth Lover for Gibson electric guitars. I hope this information is useful to guitar players and collectors that love the amazing tone of the iconic vintage Gibson PAF humbucker electric guitar pickup design.